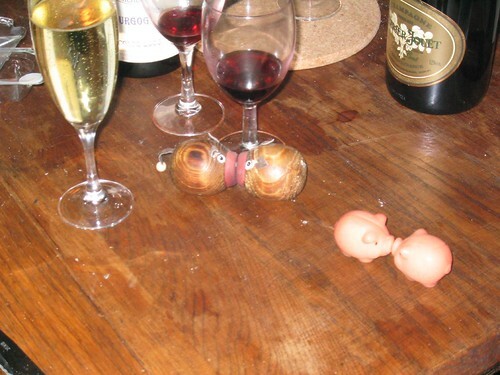 Kissing Pigs, originally uploaded by Petite Pie. Champagne wishes and piggy kisses to all. Happy new year to you. And happy we got a chance to see you in Toulouse. While I'm at it, I've been able to bring my blog back to life but with a few changes. Please note the new url attached here.